PCV + Map Switch - . : XT660.com - The #1 XT660 Resource :. 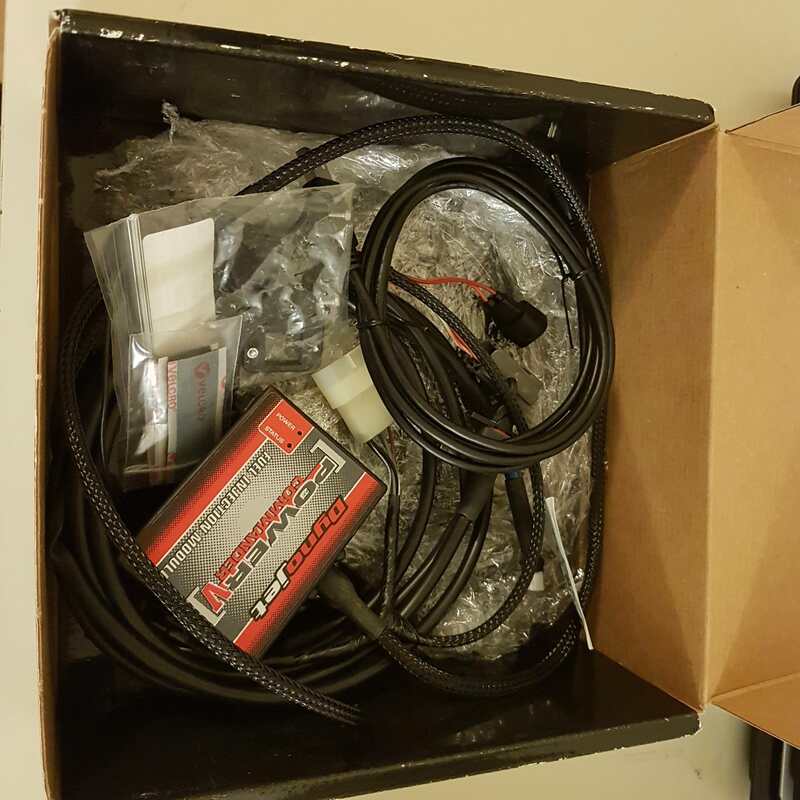 FOR sell completely new Power Commander V + map switch for XT 660 R/X, bought in OTR but never used. Last edited by intruz; 30-11-18 at 10:47.
would this also fit my 2009 XTZ? and does it come with the O2 eliminator? You need a O2 optimizer from Dyno Jet not an eliminator, O2 eliminators don't work on these XT660's. well, i must say, i DO notice a difference with my O2 eliminator. i wouldn't want to take it out anymore, but i do realise it can be better. This set not include O2 Opitimze but you will need it as well. I am not sure if it will fit, depend if your bike has crankshaft sensor, as this PCV has not connection for such sensor. It has 2 connections for TPS Throttle Position Sensor and Fuel Injector plus needs to be installed O2 Optimizer. Last edited by intruz; 30-11-18 at 11:11.